When you visit Dentistry By The Bay, the first thing you will notice is: great service. Happiness and stress levels are directly connected to your health. Everyone on our team, from our front office specialists to our hygienists, works to make sure you’re comfortable and satisfied with your experience. Our team at Dentistry By The Bay put our guests first. We’ve been building lasting relationships with our patients for over 20 years. 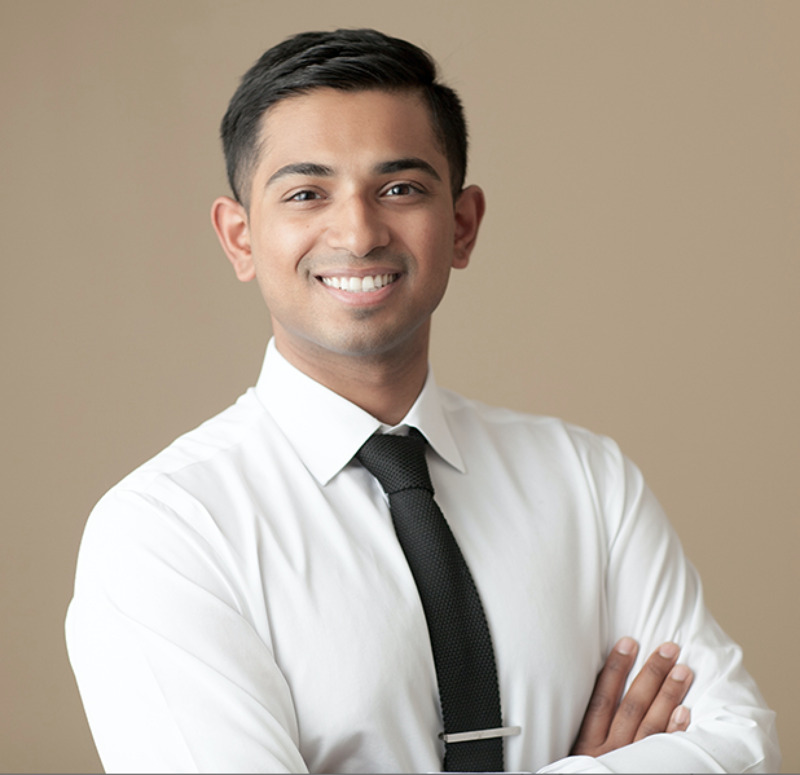 Dr. Jason Gomes graduated with honours from the University of Toronto Faculty of Dentistry in 2013 and was awarded the Davis Orthodontic Award. After graduation he began practicing in the GTA before moving to an under serviced community in Northern Ontario. He has a strong passion for providing outstanding, evidence based dentistry in a fun, friendly, relaxing environment. In his free time, Jason enjoys spending time with his wife Candice and sons Preston and Pierce. Jason greatly values the opportunity to provide high quality, painless dental care to the Barrie community. Dr Tanya Farooq grew up in Ottawa where she received a Biology degree (BSc) at the university of Ottawa. Following her graduation, she attended the university of Western Ontario where she earned her dental degree. She has been living and practicing in Barrie since 2003 and has enjoyed being part of the Dentistry by the Bay team since 2009. Her goal is to ensure that her patients are comfortable and have the best treatment outcomes. She continues to volunteer her time locally and is looking forward to being a volunteer dentist in Nicaragua this year. Presently, Dr Farooq is the vice president of our local dental association, muskoka simcoe dental society. She is also an active member of the ontario dental association, and academy of general dentistry.